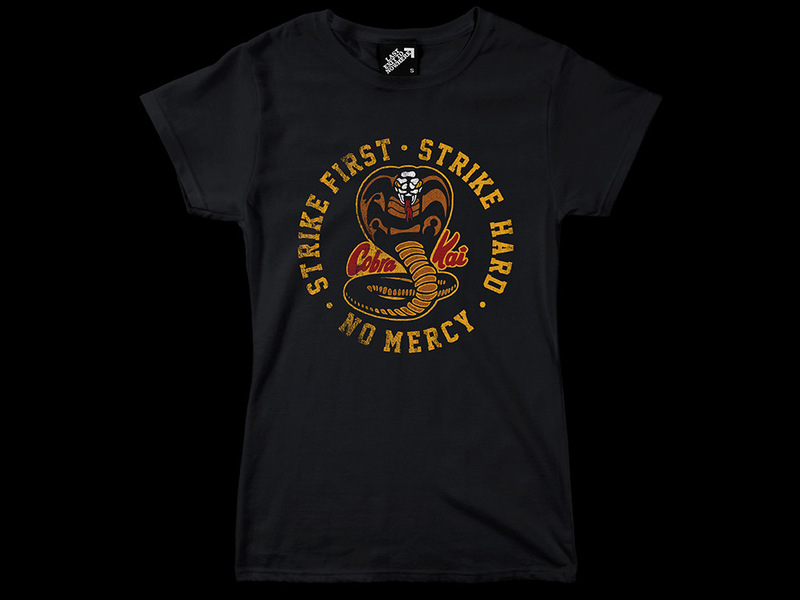 A four colour design, hand screen printed on a 100% cotton black ladies fit T-shirt. 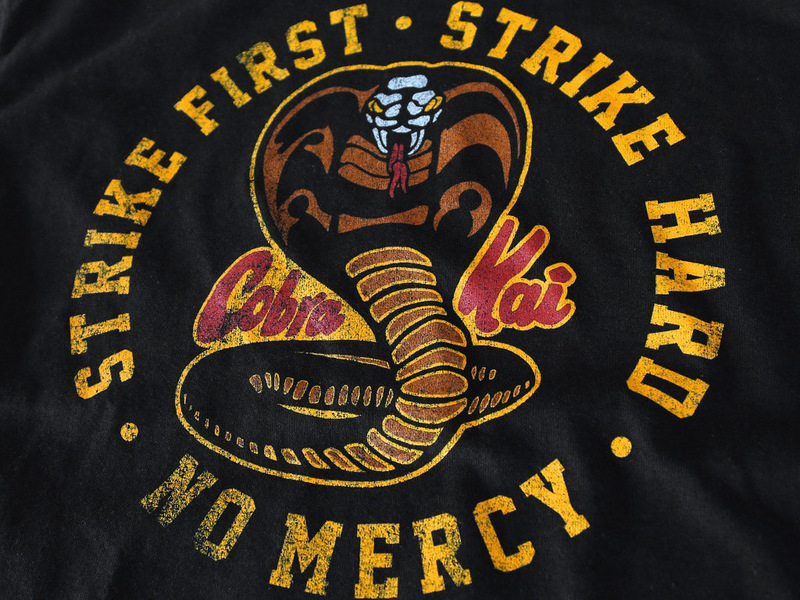 Inspired by the fictional Cobra Kai dojo in the 1984 American martial arts drama film, The Karate Kid, directed by John G. Avildsen and starring Ralph Macchio, Pat Morita and Elisabeth Shue. I just wanted to drop a line telling you how great you guys are. I am living in Switzerland and I order a lot of clothing outside my country, but you guys are so incredibly fast, it’s like your shop is here in Switzerland! My T’s are already here, I couldn’t believe it. Thank you for the great service. Keep it up!